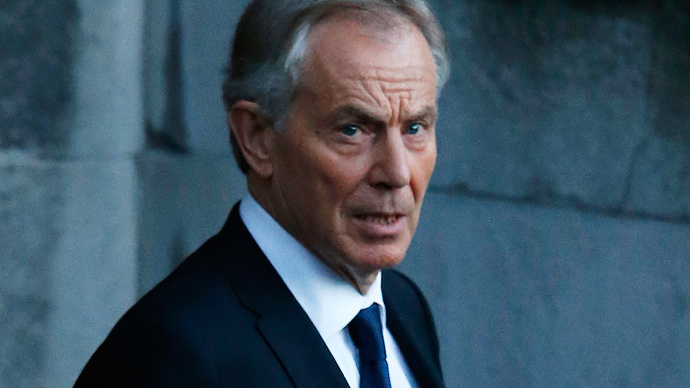 Tony Blair has reportedly resigned as envoy to The Quartet group of Middle East nations. The news was reported in a tweet by the Associated Press, which claimed an official had told the agency the former UK Prime Minister would stand down. Speaking ahead of his formal resignation, Blair told officials he had written to the UN General Secretary Ban-ki Moon to step down from his post. The former Prime Minister has served as a peace envoy for the group, made up of the UN, the US, the EU and Russia, for eight years. He is thought to be stepping down due to an increasingly strained relationship with Palestinian authority figures. His letter to Ban-ki Moon comes as the Ad Hoc Liaison Committee, a steering group for the Middle East peace talks, met in Brussels on Wednesday. His reported resignation follows speculation from the Financial Times on March 15, which claimed Blair was looking to step back from his role, and had been looking at alternative options in the run up to the Israeli election. Blair met with US Secretary of State John Kerry in March to discuss other roles, after reportedly deciding a frontline job was no longer a tenable option. The Stop the War Coalition, which opposed the Iraq and Afghan wars during Blair’s tenure as prime minister, welcomed news of his resignation.